Iran, Sept. 25, 2018 - Truck drivers across Iran continued their nationwide strike on Tuesday, protesting low wages, skyrocketing spare parts prices and authorities refusing to provide answers to their legitimate demands. The cities of Urmia, Yazd, Qazvin, Borazjan, Neyshabur, Kermanshah and Dorche (of Isfahan Province) are currently witnessing more truckers joining the strike. During the past two days, drivers in 157 cities throughout all of Iran’s 31 provinces have been on strike. On Monday, reports showed drivers refusing to accept any new loads, bringing all the load stations across the country to a standstill. In the city of Mahabad, western Iran, drivers of mini-trucks have also joined the strike. This strike is a continued movement witnessed in June and August of this year. Drivers of fuel tankers in various cities including Tabriz, Kerman, Bandar Abbas, and Arak have joined the strike in various. Imam Port Truck drivers continue their strike for the second consecutive day. The drivers continued their strike despite regime authorities resorting to various threats and bogus pledges in an attempt to prevent them from protesting. The Iranian regime even hired operatives to force the drivers into loading their trucks. This initiative also failed. Drivers have even set up their own checkpoints to control the roads at nights and prevent the regime from pursuing its own conspiracies and threats. Iranian opposition President Maryam Rajavi sent a message hailing the courageous truck drivers who are on strike, saying the mullahs’ regime neither intends nor seeks to respond to their demands. These demands will only be provided for through freedom and the people’s sovereignty. Mrs. Rajavi called on all Iranians, especially the youth, to support the truck drivers on strike. From early Sunday morning truck drivers in 112 cities across Iran launched a nationwide and coordinated strike after similar measures the day before. This protest is in response to previous calls for such pre-planned measures. According to eyewitness reports, most of the loading stations are empty in numerous cities and the truck drivers have not shown up for new deliveries.  The Amir-Kabir and Shapur-Jadid terminals in Isfahan, similar sites in Bandar Abbas, Khomeini-Shahr and Zanjan are among these locations that are reporting strikes and are completely closed down. Truckers in various cities including Ardakan, Hamedan, Arak, Nahavand, Saveh, Shahrud, Neka, Borujerd, Kermanshah, Bardsir, Sirjan, Shahr-e Babak, Sanandaj, Kerman, Qom, Qazvin, Shiraz, Marvdasht, Abadeh,Ahwaz,Kazerun, Zahedan, Chabahar, Kashmar, Taybad, Sabzevar, Neyshabur, Mashhad, Garmeh, Nehbandan, Lordegan, Shahr-e Kord, Tehran, Bushehr, Ilam, Semirom, Shahreza, Isfahan, Najaf Abad, Shahin Shahr, Zarrin Shahr, Mobarakeh, Ardabil, Urmia, Tabriz and many more are currently on strike. Signs indicate other cities will join the strike in the upcoming days. Drivers are protesting low paychecks, high prices for spare parts and not receiving any responses to their demands. This is a new round of strikes after the August episode. In cities such as Sabzevar, Malayer & Nahavand, angry drivers are seen standing on the road and preventing any driver to leave with loads in their trucks.